As the leading manufacturer of oscilloscopes by shipments in China, the diverse product line of SIGLENT covers the high feature-to-price ratio with our economic oscilloscope. 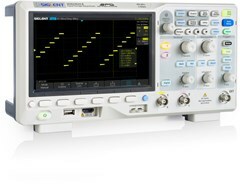 The oscilloscopes of the Siglent SDS1000X-E series have enhanced mathematical functions. Measurements and math functions are processed over the complete memory range, not only in the display memory. In addition the FFT function works with a lot more data points (1 MPts instead of 16 KPts) which makes it more accurate. 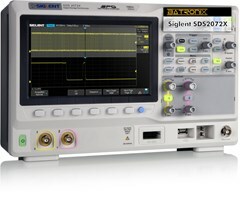 The Siglent SDS2000X-E is a very high quality four channel digital storage oscilloscope. 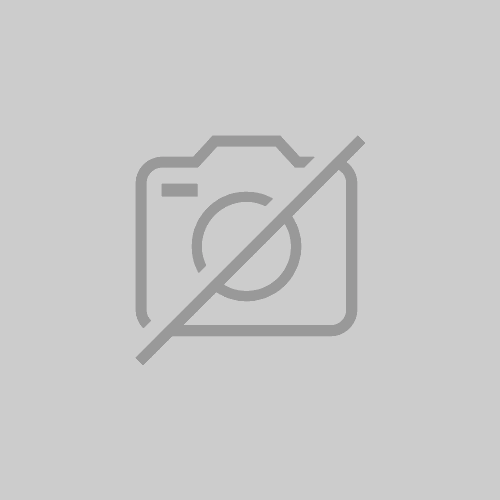 It features a real-time sample rate of up to 2 GSa/s and a bandwidth of up to 350 MHz along with a standard record length of 28 Mpts. The Siglent SDS5000X series Digital Storage Oscilloscopes are available in bandwidths of 1 GHz, 500 MHz and 350 MHz, have a maximum sample rate of 5 GSa/s, maximum record length of 250 Mpts, and display up to 4 analog channels + 16 digital channels mixed signal analysis ability. 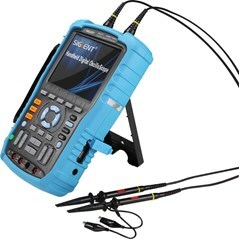 The Siglent SHS series offers portable measuring equipment with bandwidth ranges up to 200 MHz. Additionally, the units contain a built-in multimeter option for measuring voltage, electrical current, resistance and capacities. 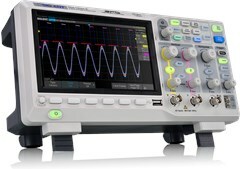 The Siglent SDS1000CML+ oscilloscopes are entry level-devices at affordable pricing without compromising on quality.